Xiaomi today finally launched its much awaited, Xiaomi Black Shark 2 Gaming Phone in China. Since, this a gaming-centric smartphone, the Xiaomi Black Shark 2 Gaming Phone comes with industries top-of-the-line hardware specs. The Black Shark 2 as its main key highlights features a Snapdragon 855 SoC coupled with up to 12GB RAM. The smartphone also packs various other features to provide the best and smooth gaming experience. 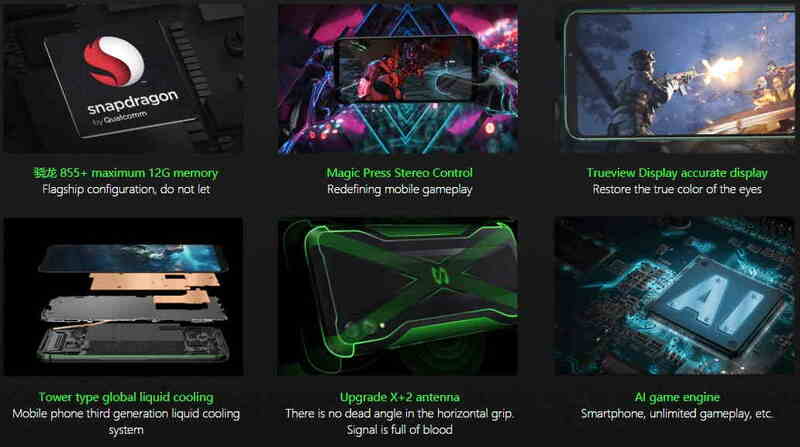 With that said, Black Shark 2 comes with Snapdragon Elite Gaming graphics processing technology. The phone also features Liquid Cool 3.0 liquid-cooling technology that is said to reduce the heat while playing the game on the device. Now, let’s take a look at Black Shark 2 other specifications, price, and availability. The Black Shark 2 features a 6.39-inch full-HD+ (1080×2340 pixels) AMOLED display along with a 19.5:9 aspect ratio and 403ppi of pixel density. The display panel has 108.9-percent DCI P3 colour gamut and a contrast ratio of 60,000:1. It is powered by an octa-core Qualcomm Snapdragon 855 SoC, coupled with Adreno 640 GPU and up to 12GB of RAM. In the camera department, Black Shark 2 comes with a dual rear camera setup including a 48-megapixel main sensor that comes with an f/1.75 lens and a 12-megapixel secondary sensor along with an f/2.2 lens. The rear camera also setup supports 2x optical zoom. Up front, there is a 20-megapixel sensor with an f/2.0 lens. The Black Shark 2 comes in 128GB and 256GB of onboard UFS 2.1 storage options. The phone also has an accelerometer, ambient light, in-display fingerprint sensor, gyroscope, and magnetometer. The phone packs a 4,000mAh battery and measures 163.61×75.01×8.77mm. Connectivity options include 4G VoLTE, Wi-Fi 802.11ac, Bluetooth v5.0, GPS/ A-GPS, and USB Type-C port. 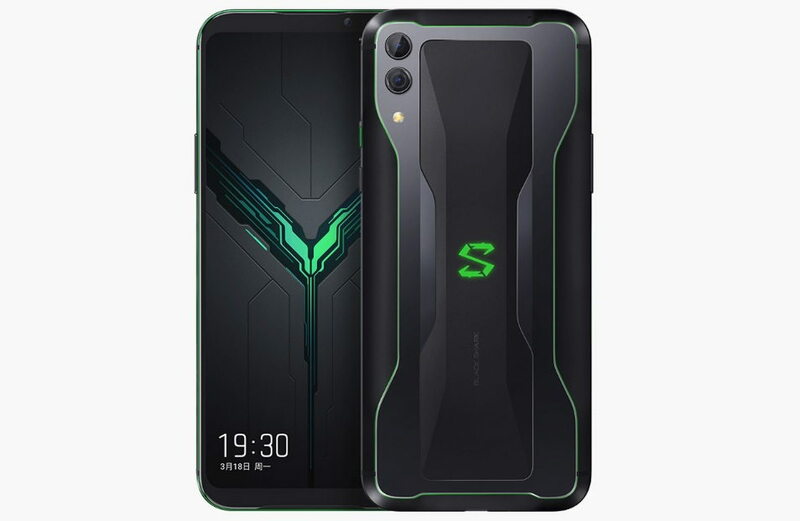 The Black Shark 2 price in China has been set at CNY 3,199 (roughly Rs. 32,700) for the 6GB RAM/ 128GB storage model, while its 8GB RAM/ 128GB storage option is priced at CNY 3,499 (roughly Rs. 35,800). There is also 8GB RAM/ 256GB storage variant that is priced at CNY 3,799 (roughly Rs. 38,800) and the top-end model that comes with 12GB RAM/ 256GB storage priced at CNY 4,199 (roughly Rs. 42,900). The pre-orders for the Black Shark 2 will begin at 10pm CST (7.30pm IST) today through the official Black Shark website, TMall, and JD.com. The phone will be available in Shadow Black and Frozen Silver colour options.